The beginning of a New Year is a time to adopt healthier habits, to tackle big projects, to reinvent, and this is precisely why most gyms are packed to the gills every January. But the health and wellness enthusiasts of City Fitness Philadelphia are out to prove that their devotion to self-improvement is year-round. Consider Sarah Bernardi, a City Fitness employee who knows a thing or two about reinvention. Two years ago, when Bernardi was “trying to find my niche in the fitness and wellness industry,” she discovered her opportunity at City Fitness. 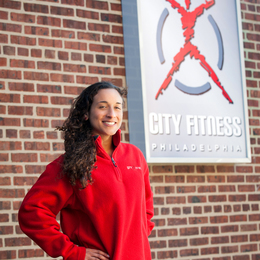 She learned the ropes in membership development, as well as personal training, at City Fitness’ two locations in the city’s Northern Liberties and Graduate Hospital neighborhoods. 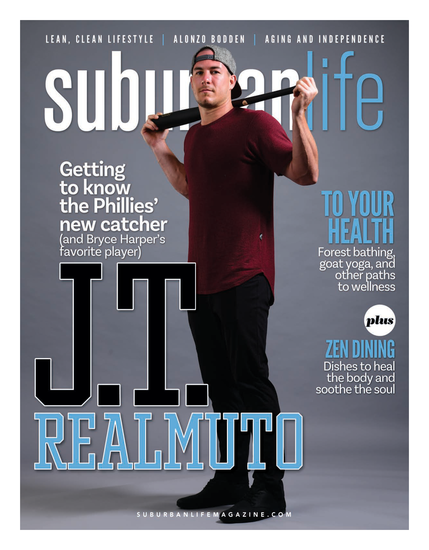 She recently stepped into a new role: general manager of City Fitness’ newest fitness and wellness center in South Philadelphia, which opened in November. “From the day I started coming here, I saw that it was more comprehensive than other gyms I had been at, and everybody who works here is part of a community,” says Bernardi. “It’s just different here. Everybody has more of a personal relationship with the members. We have 500 members, and we know them all. We all want to help people see results. City Fitness owner Ken Davies takes pride in the tight-knit community at each City Fitness location. A native of the Philadelphia area, Davies had been working in commercial real estate when he realized there was an unmet need in Philadelphia for a gym that, in his words, “had something more to offer.” He decided to do something about that and, in August 2007, opened the doors to his first City Fitness location at Second and Spring Garden streets. Since then, City Fitness has tripled in size, with a fourth location set to open in Center City later this year. The fact that it has been voted the best gym in Philadelphia for four consecutive years suggests that its members-first approach has struck a chord. Each City Fitness location offers the full gamut of fitness solutions, ranging from one-on-one training and group exercise classes, to personal nutrition guidance, to an abundance of free weights and state-of-the-art exercise equipment. One of City Fitness’ most compelling features, however, is a revolutionary training system known as THRIVE, which is exclusive to City Fitness in the Philadelphia area. THRIVE helps clients achieve their individual fitness goals tied to weight loss, conditioning, functional strength or improved mobility and flexibility. The system began gaining traction in U.S. and overseas fitness clubs nearly two years ago, and it gained a significant shot in the arm earlier this year when it partnered with Emmaus-based Rodale Inc., which owns the Men’s Health and Women’s Health brands. Each THRIVE participant receives an assessment of his or her overall fitness level to establish a baseline and establish measureable goals. Each THRIVE session consists of five distinct phases. The first phase, “Prime,” is a five-minute section that includes complete soft-tissue work, followed by the second phase, a five-minute warm-up period called “Prep,” which helps members improve their form and get their blood moving. The third phase, “Power,” lasts approximately 20 minutes, which is important because individuals after the age of 25 or 30 begin to see significant drop-offs in their power. The fourth phase, “Strength,” focuses on the client’s range of movement and includes exercises designed to strengthen the core. The fifth and final stage, “Burn,” features cardiovascular activity intended to help clients work off fat in even the most stubborn parts of the body. Alissa Higgins first became familiar with THRIVE when she moved to Philadelphia from Washington, D.C., and joined City Fitness as a member. After working out at the Graduate Hospital location for approximately nine months, she took her commitment to fitness a step further by becoming certified as a personal trainer. She has grown significantly in the year since City Fitness hired her as a personal trainer. Higgins’ clients include everyone from a young woman who simply wanted to lose a few pounds in time for her upcoming wedding and instead wound up “transforming her body.” Then there is the former rower for Temple University’s crew team who craved the atmosphere that comes from belonging to a team where one member motivates the next. Then there is the 48-year-old man who noticed significant improvements to his coordination and stamina, both of which have helped him improve in various aspects of his life. The sense of community doesn’t end at the gym doors, extending to locally based nonprofits and business owners. Also, City Fitness’ exclusive City Perx program entitles City Fitness members to exclusive discounts—up to 50 percent off—on purchases made at more than 350 participating restaurants, merchants and service providers. City Fitness is continually looking for new businesses to join the City Perx network, which serves thousands of passionate members who are equally passionate about supporting the local businesses who support them. As City Fitness grows, it will continue to find new services and offerings to make its locations more indispensible to its members. In other words, it will continue to adapt and grow in order to maintain its position as a leader in Philadelphia fitness. City Fitness will open its fourth location, in Center City, later this year.